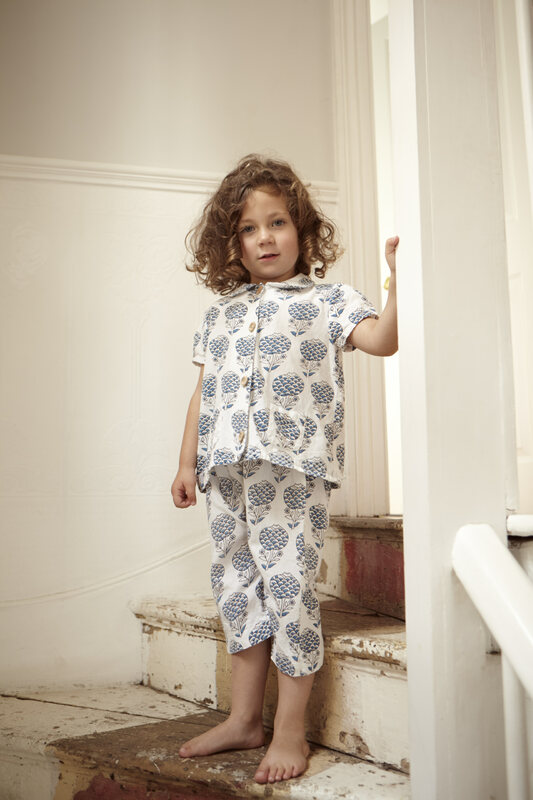 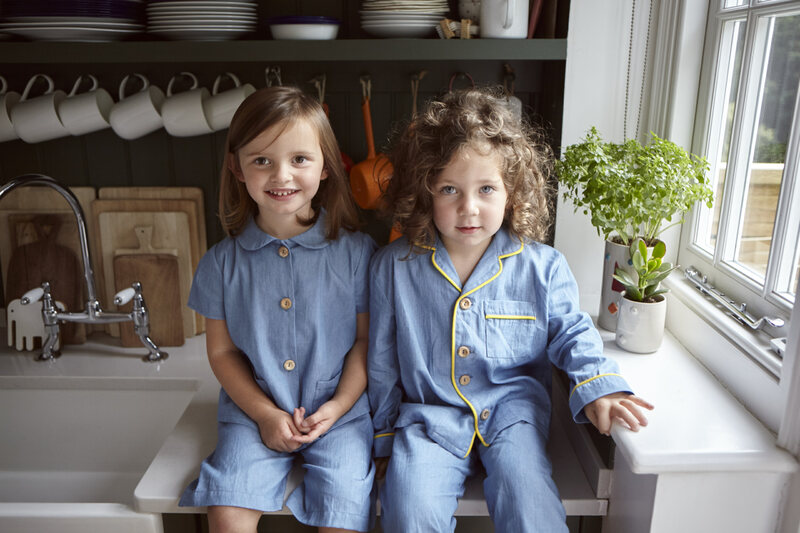 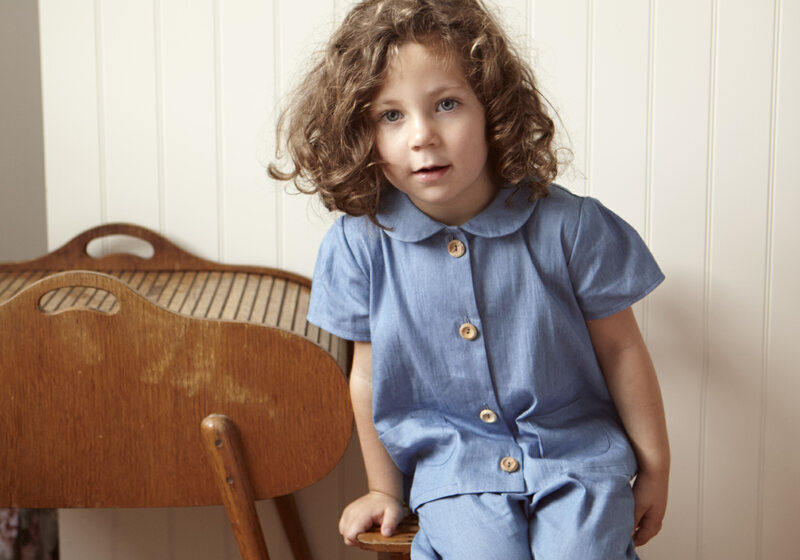 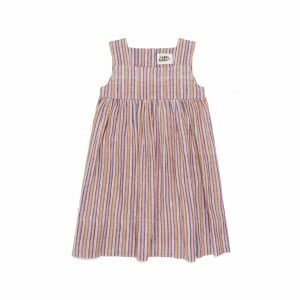 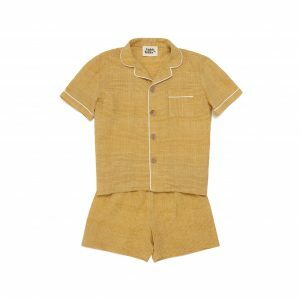 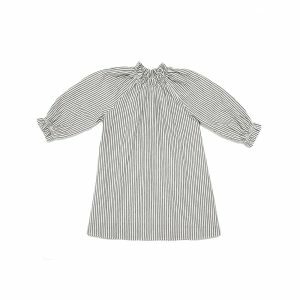 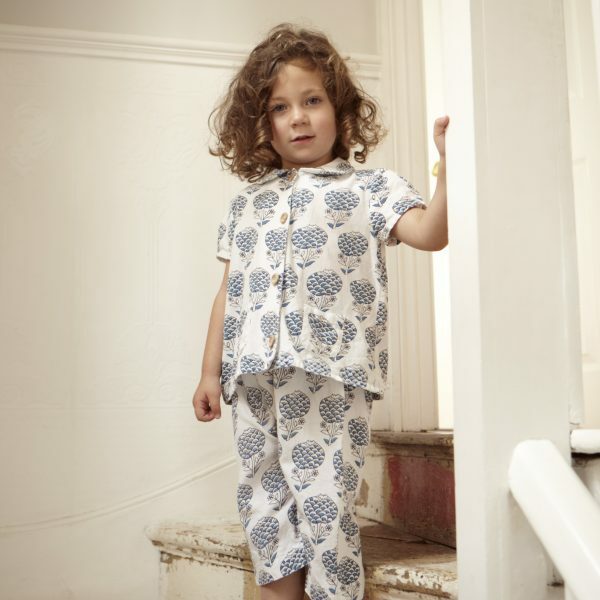 This short sleeved girls swing style pyjama set features a sweet peter pan collar with a single pleat on the back and pockets on the front. 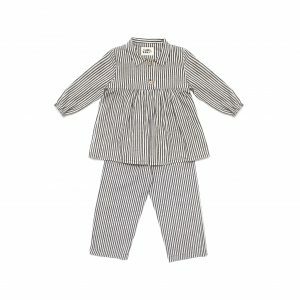 Matched with harem elasticated waist trousers for ease and comfort. 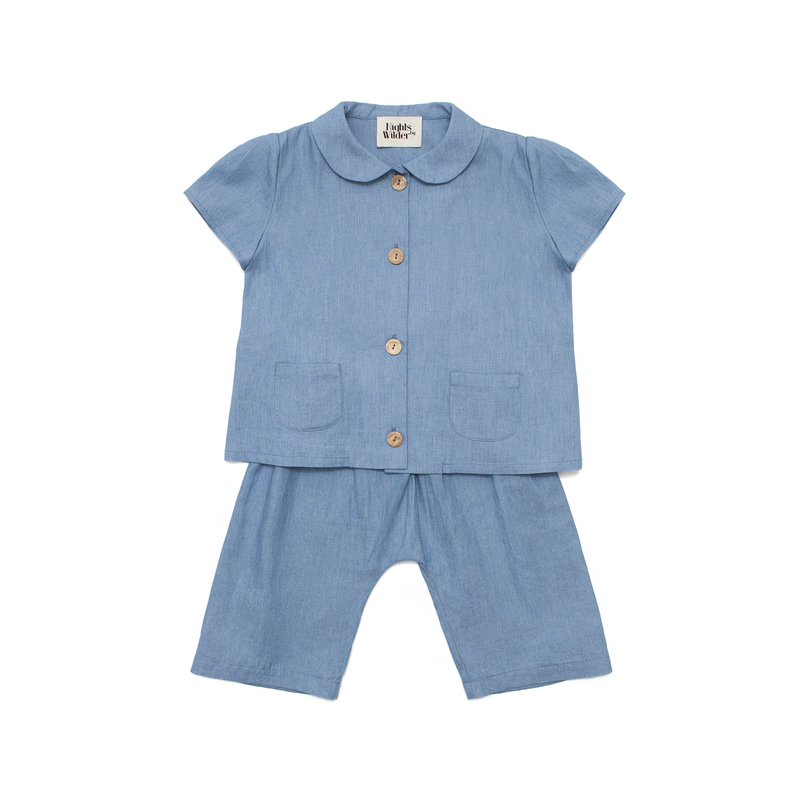 Available in soft blue chambray cotton or blue folk flower.